Welcome to Cool Find Friday! If you’re looking for dietary sainthood, move along; my blog isn’t for you. Cool Find Friday will feature food products, cooking gadgets, and maybe even some helpful websites or podcasts I stumble upon. I might also include mini-book reviews – my take on a book I’ve read, but not one detailed enough for me to make it one of my too-long full-length book reviews. *Shrug. * I dunno. It will probably evolve over time, but for now, those are the types of things I see myself covering here. 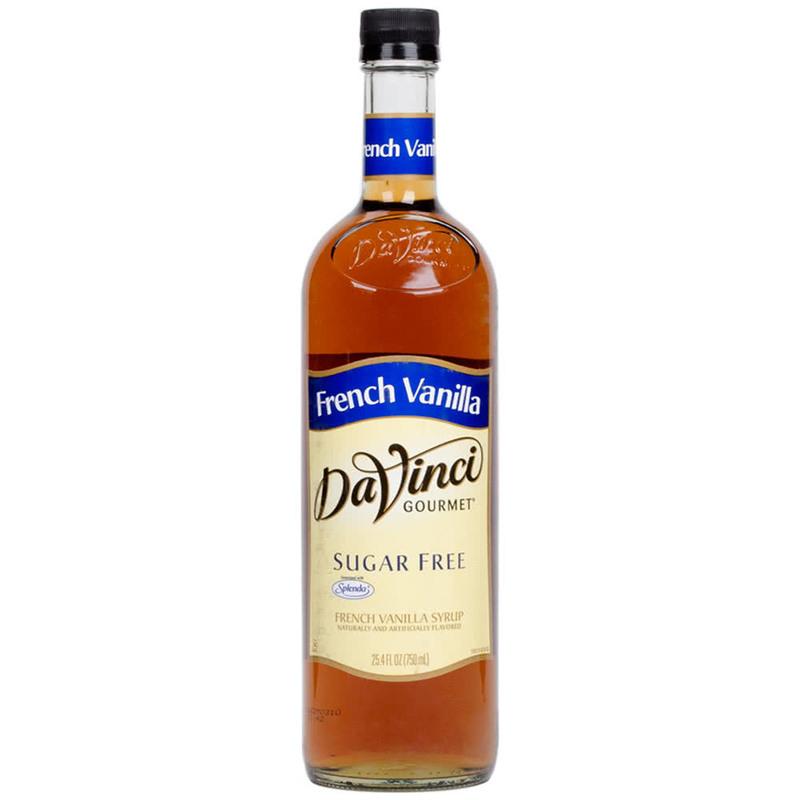 First up: DaVinci sugar-free syrups! I have been using these for years, and I have not found them to interfere with either fat loss or maintaining weight – meaning, they don’t prevent me from losing weight, and if I’m aiming to stay at the same weight, they don’t cause me to gain. I can’t say whether or not they interfere with ketosis, because I very rarely test for ketones. I have a hard time believing they’d interfere if you keep them to reasonable quantities—a couple tablespoons here and there, but not glugging down cups of this stuff at a time. Based on measurements of my blood glucose and insulin, though, these don’t seem to have any negative impact in terms of increasing risk for the ol’ diabeetus, and based on routine bloodwork, they have no adverse effects on overall metabolic health. What do I use these sugar-free syrups for? I’m usually a purist when it comes to my beloved coffee. I want coffee to taste like coffee. But every now and then, I do get in the mood for something else, and DaVinci syrups make it easy to mimic the flavor of your favorite mocha-frappa-hazelnut-vanilla-whatever, sans the sugar. Yay! The flavors that go great in coffee (in my opinion) are coconut, crème de menthe, peppermint, English toffee, toasted marshmallow, raspberry, and orange. (Orange? In coffee? Yes. You’d be surprised. It’s delish! Raspberry works very well here, too.) They make “traditional” coffee flavorings, like hazelnut, amaretto, Irish cream, French vanilla, and Kahlua, and they also have white chocolate, butterscotch, caramel, pumpkin spice, and gingerbread, but I haven’t tried these flavors so I can’t vouch for them. I specify plain yogurt because if you buy any of the flavored varieties, they tend to be mucked up with a ton of sugar—sometimes to the tune of 25+ grams of carbohydrate for a 5oz container! Not worth it! But if you buy plain yogurt and doctor it up yourself—with cinnamon, sugar-free maple syrup, toasted nuts, or DaVinci syrups—then you can have your fix of cool & creamy minus the blood sugar bomb. If you want to approximate the flavor of your favorite fruity cocktail, start with whatever your base is (rum, vodka, gin, etc. ), and use DaVinci pineapple, coconut, banana, raspberry, cherry, strawberry, orange, lime, blueberry, peach, or watermelon. Mix with seltzer or your favorite sugar-free flavored beverage and you can join in the fun. P.S. 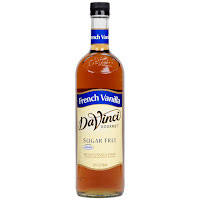 Another brand, Torani, makes basically the same things—sugar-free flavored syrups—but I prefer DaVinci. Torani has a couple of flavors DaVinci doesn’t make (such as mango), so I do buy Torani once in a while if I specifically want one of those. Thanks for the info...I use a small amount of sucralose myself and never had an impact on my maintenance either! I do find a different in my bodies response to Torani & others like it that use Ace K as a Sweetener. DaVinci so fat only has Sucralose, which doesn’t cause craving for me. I always check to see which Sweetener is used in these Sugar Free products because some may as well be Sugar.